Fixtures must be installed by a Southern Lights of NC representative. Warranty only valid if installed by an authorized Southern Lights of NC representative. No charge for labor if within first 3 years of installation date and performed by a certified low voltage lighting technician (CLVLT) from Southern Lights of NC. New system or transformer (low voltage landscape lighting transformer) must be registered within 90 days of installation. Lifetime replacement warranty for stainless steel transformers installed by a certified low voltage lighting technician (CLVLT) of Southern Exposure of NC. No charge for labor if within first 3 years of landscape lighting transformer installation date. 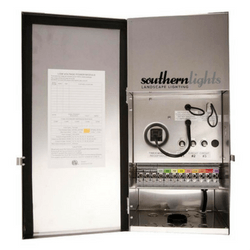 Replacement or repair of any faulty system component must be done through an authorized Southern Lights of NC representative. 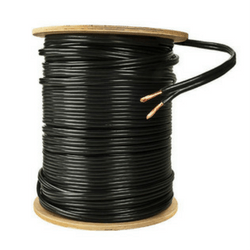 New system must be registered within 90 days of installation. 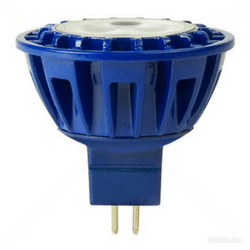 Halogen lamps are not covered by manufacturer, however, Southern Lights of NC will cover lamps and labor for 1 year from installation date. We want you to feel comfortable with your new investment and be clear with you on what’s covered. Our warranty excludes items that are damaged due to misuse or abuse, Lightning and Acts of God. Any tampering with the transformer voids all warranties. An extended warranty is available to those customers on our maintenance program. Warranty is transferable, but will require an assessment of system before warranty is transferred to new owner. *** Service Contracts Available For All Systems. Southern Lights recommends a lighting maintenance agreement where a service technician checks: test amperage and voltage, timer, trims any shrubs that are overgrowing fixtures, replacing any failed lamps, inspect wiring, adjust tree lights for tree growth, clean fixtures and more.  There has never been a more comprehensive lighting system warranty than what Southern Lights of NC offers. Don’t believe us? We dare you to find a more in depth hassle free warranty. What is a Warranty Really Worth? That’s a fair question. Not much if you haven’t been around 10 years or more. Why should someone take a leap of faith with their investment, unsure if you’ll be in business when they need you. Southern Lights of NC has over 20 years installing lighting systems across NC and is ready to serve you another 20 and beyond. We are so confident in our lighting design skills, materials, and lighting fixtures, we back our systems with the Best Warranty in the business! It’s not all about the initial sale, it’s about providing a beautiful lighting design for our clients for years to come. We want you to tell your friends & neighbors about us! We carry more certifications than anyone in the entire state of NC. We have (CLVLT) Certified Low Voltage Lighting Technicians on staff. 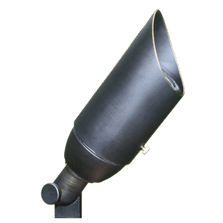 Our owner / operator is on the Board of the (AOLP) Association of Outdoor Lighting Professionals and has completed the 4 year degree for (COLD) Certified Outdoor Lighting Designer certification.